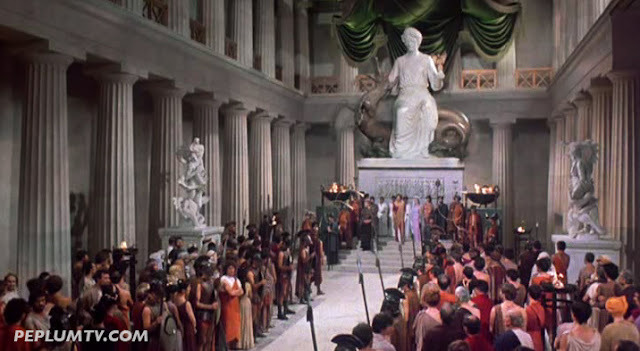 Last week, I posted a scene of the spectacular set from THE FALL OF THE ROMAN EMPIRE. Here's one from the 1981 version of CLASH OF THE TITANS. It's a combo set, model (the statue being the model) and possible matte painting. I really like these shots, which are nowhere to be found in today's films.